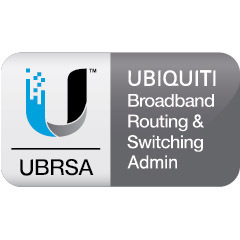 The Ubiquiti Broadband Routing & Switching Admin (UBRSA) course is a two-day course designed for professionals in the Service Provider market that seek hands-on experience configuring EdgeMAX products, including EdgeRouter X & EdgeSwitch 8. The lab activities in this course teach real-world deployment scenarios involving STP, VLANs, Policy-Based Routing, advanced OSPF, intro-to-BGP. While not a pre-requisite to UBRSA, it is highly recommended that you complete the UBRSS course.